Surprise! Your guests came early. Good thing you are ready in advance. Take this bed set out of its compression bag and reward their enthusiasm with a luxurious, stain-resistant mattress pad and soft, quilted pillows ready for bedtime whenever they are. Now you can say "I'm thrilled you're here early!" and actually mean it. Aqua Guard is not a waterproof barrier solution. Any liquid accident must be cleaned immediately or the liquid will penetrate the fabric. Because of extra filling in this mattress pad and bed pillow, it may be too large for your washing machine. Please make sure this product has free movement in your washing machine and dryer. Didnt care for the pillows so much. 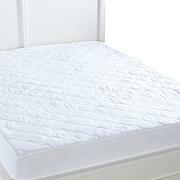 But I love the mattress pad very soft and easy to wash/ dry. Ive had it almost an year and its still full of comfort! Great product at a realy great price! Very recently purchased a new mattress. Have it protected with a "waterproof" mattress pad for protection---But any loft it had is long gone. And, it felt a little firm to me. 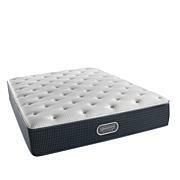 Added this new mattress pad & can feel the difference. My sleep has been much improved. The pillow is very "spongy". May be good for sitting on with my arthritic hips, for long periods of time? Will use the compression bag for a winter coat. But HSN does have the very best clearance prices--- No question! This mattress pad is very comfortable. It was put on top of a very hard mattress and it helps so much. Have not used the pillows yet, but they seem to be very nice. Worth the money..fits nicely on my full size bed and the pillows aren't bad for the price...thanks Concierge!! 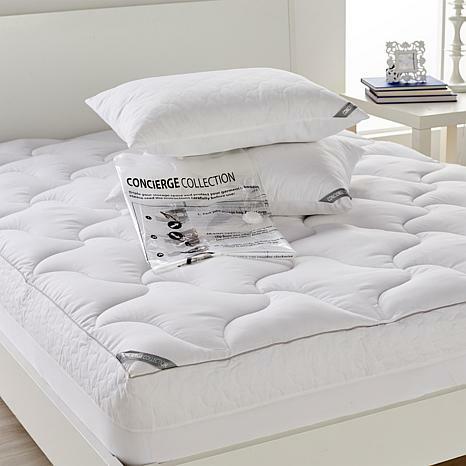 Upgrade your existing mattress with a layer of comfort for all seasons. A soft and snuggly plush fleece side keeps you warm in the winter while the reverse side helps to keep you cool all summer long. You'll simply flip for this two-in-one reversible bed topper!